A cyclist will tackle the hills of Cumbria just days after the Tour of Britain athletes – but instead of pedalling the latest carbon-fibre bike, he’ll be cycling a wooden one. It took Richard Harris, 42, of Skiddaw Road, off Wigton Road, Carlisle, about a year to make the wooden bicycle from scratch using more than 150 pieces of wood. He now plans on cycling it tomorrow along a Coast to Coast route, from Anthorn to Whitley Bay. He and four friends aim to complete the route in about eight hours. Mr Harris, a joiner by trade, took up the challenge about this time last year as he said he was looking for a project to keep him busy through the long, dark winter. He had seen a few wooden bicycle before online and set about making a wooden frame. 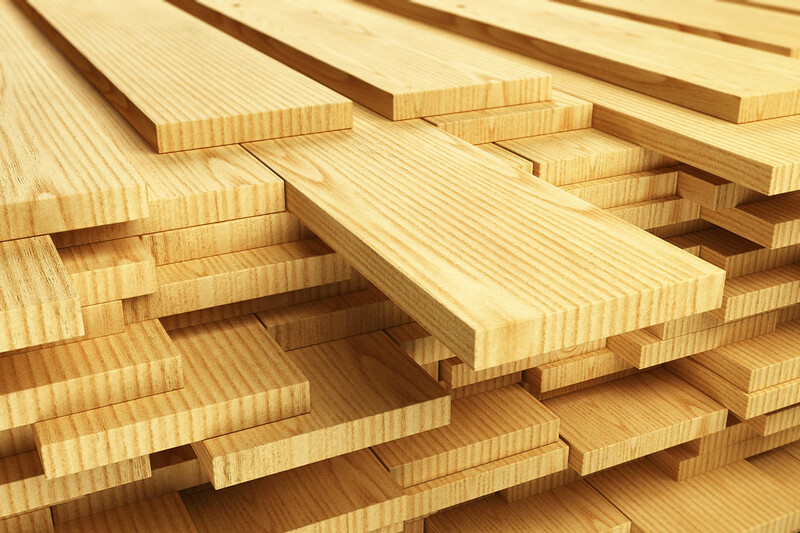 Negotiations to reach a new softwood lumber pact are ramping up in advance of a meeting planned between Canadian Trade Minister Chrystia Freeland and U.S. Trade Representative Michael Froman. Canadian Trade Minister Chrystia Freeland discussed the issue with U.S. Trade Representative Michael Froman in Hangzhou, China Sept. 4 on the sidelines of the Group of 20 summit, Christine Constantin, spokeswoman for the Embassy of Canada in Washington, told Bloomberg BNA. Freeland expects to meet with Froman again “shortly,” Constantin said in a Sept. 7 e-mail. No date has been confirmed yet, she said. A landmark ruling in 2004 by the Supreme Court of Canada paved the way for the Haida Nation and other aboriginal groups to gain control over resources on their ancestral lands. For the Haida, that meant the richly timbered Haida Gwaii archipelago off the coast of British Columbia, formerly known as the Queen Charlotte Islands… Starting up wasn’t easy. After all, at the time of the ruling, non-aboriginals – particularly big forestry companies – had been calling the shots in the region for decades. But what the Haida lacked in business experience was made up for in determination. They now have three established businesses under the Haico umbrella: Taan Forest LP, Westcoast Resorts and Haida Wild, a seafood processing company… Taan Forest holds Haida Gwaii’s largest licence for harvesting trees. It specializes in sustainable harvesting of Northern red cedar, Sitka spruce and hemlock, but also cuts alder and pine. And for the Haida, sustainability is more than a fashionable buzzword – it is a way of life and was a key reason for their long-running legal battle against non-aboriginal forestry practices. WHITE CITY — Firefighters got two sawdust fire calls to Biomass One Sunday afternoon. The second quickly turned into a three-alarm fire, damaging three buildings. “We initially got a call around 2 p.m. and the second one came in just after 5 p.m.,” Fire District 3 spokesperson Ashley Lara said. “It escalated to a second alarm very quickly and a third alarm shortly after that.” Firefighters reported flames more than 25 feet high as smoke billowed up high above Highway 62. Hours later, more than a dozen engines and more than 30 fire personnel from agencies across Jackson and Josephine counties as well as Oregon Department of Forestry were still pouring water from high above two smoldering buildings and the grassy fields surrounding them. A second shift worked into the night. Wellington Shields scooped up 9,076 additional shares in Weyerhaeuser Co during the most recent quarter end , the firm said in a disclosure report filed with the SEC on Aug 15, 2016. The investment management firm now holds a total of 53,217 shares of Weyerhaeuser Co which is valued at $1,695,494. Weyerhaeuser Co makes up approximately 0.98% of Wellington Shields’s portfolio. Other Hedge Funds, Including , Williams Jones Associates boosted its stake in WY in the latest quarter, The investment management firm added 65,010 additional shares and now holds a total of 398,269 shares of Weyerhaeuser Co which is valued at $12,688,850. In recent coverage of how an Atlanta suburb banned wood construction, we quoted their bylaw promoting concrete construction because of its purported “increased building quality, sustainability, durability, and longevity.” But there has been a lot of research and not a few articles recently that call all of those so-called virtues into question. The sustainability argument is the easiest and and most important one. … The Economist doesn’t mention that cement is only 10 to 15 percent of concrete; the bulk of it is aggregate, or sand and crushed rock. In 2014 in the US, 1.26 billion metric tons of crushed stone was produced by 1,550 companies operating 4,000 quarries and 91 underground mines. The College of New Caledonia in Prince George, B.C., and the regional forest industry in central British Columbia have partnered to establish a long-term industrial research chair in forest health. The Natural Sciences and Engineering Research Council (NSERC) has announced a $1 million grant for CNC, to fund the position for five years. The $1 million will be supported with $100,000 in funding from the CNC Research Forest Society, $160,000 in funding from industry partners, and an additional $2 million of in-kind funding from numerous partners as well. The position will be filled by Richard Reich, a CNC Natural Resources and Environmental Technology (NRET) instructor. Reich will work closely with forest companies and collaborating scientists, from government and the post-secondary sector, to develop innovative tools that will help mitigate the impacts of forest diseases on the productivity and resilience of young managed forests in British Columbia. 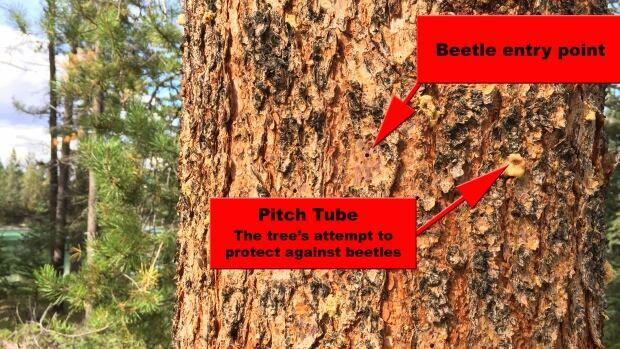 Faced with increasing losses of millions of trees being killed by the dramatic spread of the mountain pine beetle, Jasper National Park has come up with a new plan to halt the beetle’s infestation. A new management plan was released July 22 after a tripling of the beetle population in the park over the past two years. 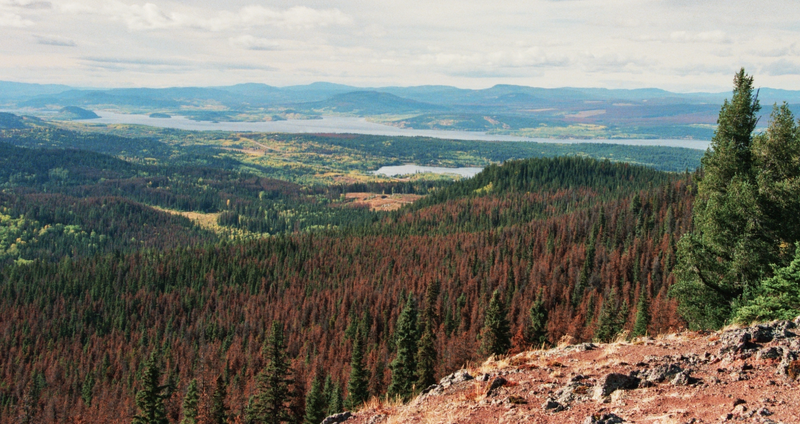 “I’m astounded at how quickly and rapidly the beetle has affected the pine forest through these valleys,” said Keith McClain, the program lead for the mountain pine beetle ecology program at the Foothills research institute in Hinton. …Parks Canada believes large swaths of the forest have been affected, with an estimated 21,568 hectares of lodgepole pines killed by its invasion. Nanaimo, BC – The BC Forest Safety Council is pleased to announce the appointment of the new Falling Program Manager, Glenn Hestnes Nanaimo, BC, September 9, 2016 – The BC Forest Safety Council is pleased to announce the appointment of Glenn Hestnes as the new Falling Program Manager effective October 21, 2016. Glenn takes over from Peter Sprout, who retires on October 20, 2016 to pursue new challenges. Glenn brings more than 30 years of diverse falling and industry experience to his new role. He was most recently a Falling Safety Advisor for the past two-and-a-half years at the BCFSC. He is a Certified Faller, QST, certified danger tree blaster, critical incident investigator and a licensed BC scaler. Forestry was one of our province’s earliest, and most successful, industries. Today, it’s an industry that over 65,000 workers and their families rely on – an industry worth defending. That’s why, as minister of forests, lands and natural resource operations, I was proud to announce at the end of last month “Strong Past, Bright Future”, our B.C. Liberal government’s agenda for boosting the competitiveness of our forestry sector. B.C. has a longstanding, worldwide reputation for well-managed forests that produce top-quality wood products. In recent years, however, an uncertain market environment and the ongoing scourge of the mountain pine beetle have threatened to undermine the ability of our forest industry to compete on a global scale. He’s the $300,000 bird, a fluffy ball of feathers that represents a last faint hope for his species. His theoretical value represents the approximate annual budget of a provincial captive-breeding program for endangered northern spotted owls — one of Canada’s most endangered species — in north Langley that successfully produced just a single newborn this year. Nameless so far, the young male born in April shares its enclosure at the Northern Spotted Owl Breeding Centre with grandparents, Shakkai, hit by a car and brought to a rehab centre in 1994, and Einstein, taken from the Stein Valley as a juvenile in 2007. KEJIMKUJIK, N.S. – The Department of Natural Resources has proposed cutting forests up to the boundaries of 15 other protected spaces within Nova Scotia besides Kejimkujik National Park. Chris Miller, national conservation biologist with Canadian Parks and Wilderness Society (CPAWS), thinks this the wrong direction for the provincial to be headed. “Clearcutting right up to a protected area boundary will shove those impacts into the protected area itself. The damage doesn’t stop at the border. The concept of edge-effect is well known and the solution is to buffer your protected areas against that type of heavy industrial footprint,” says Miller. Backers of a proposed expansion of the Cascade-Siskiyou National Monument east of Ashland have a good case to make when it comes to the environmental benefits of protecting the unique landscape and the flora and fauna it harbors. But the notion that expanding the boundaries would lead to a measurable boost in tourism is a stretch at best. President Bill Clinton created the existing 53,000-acre monument in 2000, after months of strenuous debate and stiff opposition from ranchers, timber interests and others. The borders have not changed since, although owners of private land within the monument have willingly sold about 13,000 acres to the federal government. Drought and bark beetle infestations have not been kind to western forests in recent years. California alone has an estimated 66 million dead trees speckling its landscapes and waiting to become wildfire fuel. To prevent that from happening and help us kick our coal habit at the same time, a pair of scientists has put forth an intriguing, potentially disastrous proposal: burning those trees for energy. Yes, it sounds more than a little dystopian to wean ourselves off fossil fuels by torching our nation’s dying forests, whose plight is due, at least in part, to climate change. 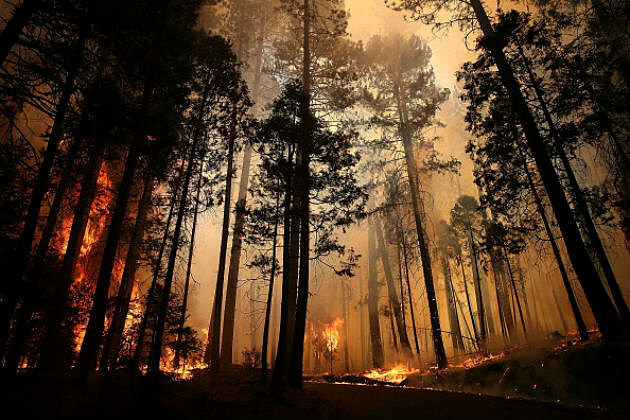 But according to a new University of Wyoming-led study published in Energy Policy, this might make economic and environmental sense, because it would give the Forest Service a leg up on the task of clearing out dead fuel to prevent catastrophic wildfires. A recently announced five-year environmental project could promote the health of 21,000 acres of forests in northwest Oregon and western Washington — provided landowners get involved. 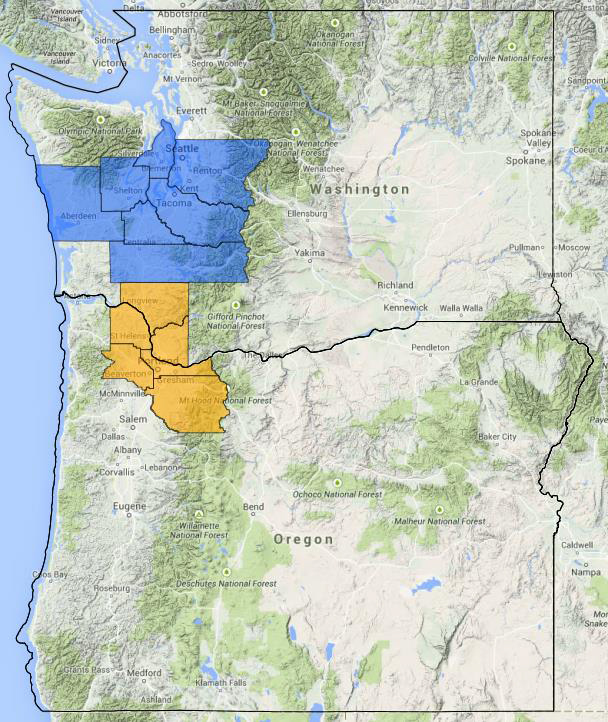 The project, called “Unlocking Carbon Markets for Non-Industrial Private Forestland Owners in the Pacific Northwest,” was made possible through the USDA’s Regional Conservation Partnership Program…. Spurred on by the USDA Natural Resources Conservation Service (NRCS), the Oregon Department of Forestry (ODF) and the Pinchot Institute, owners of small family forests are being offered financial incentives to hire consultants to prepare forest management plans that will outline pre-commercial thinning, treatments, native shrub planting, and other conservation practices to bolster the health and vigor of their trees, while also providing options for a regional carbon crediting program. STREET GAP, CHEROKEE NATIONAL FOREST — Paul Merten has spent nearly a decade chasing down a killer in the Southern Appalachians, armed with no more than a pocket knife and measuring tape. But recently the entomologist with the U.S. Forest Service in Asheville, N.C., has been homing in on the tiny, yet lethal pest with what he hopes is a secret weapon — parasitoids, also known as wasps. Merten and Haywood County Community College forestry student Caroline McGough were deep in the woods on the Appalachian Trail slicing across the North Carolina-Tennessee border last week, unleashing parasitoids in a science fiction-like attack on the emerald ash borer. 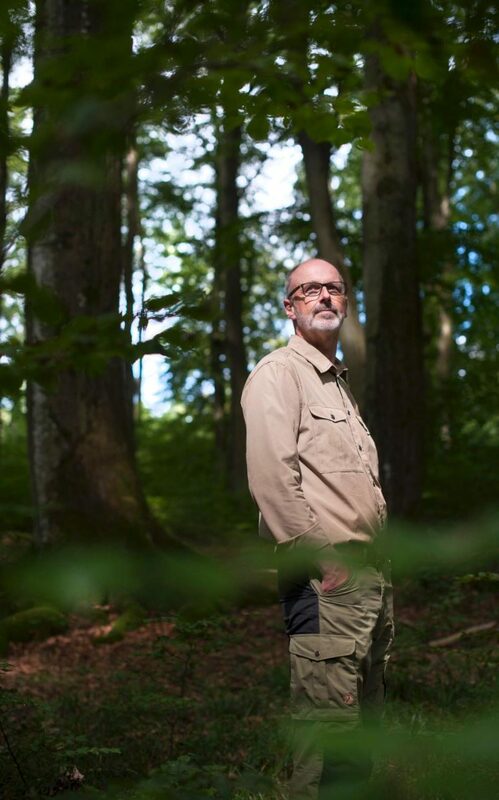 When I began my career as a forester in western Germany’s Eifel mountains, I knew as much about the hidden life of trees as a butcher knows about the emotional life of animals. The forestry industry produces lumber; it fells trees and then plants new seedlings. If you read the professional literature, you quickly get the impression that the wellbeing of the forest is only of interest insofar as it is necessary for optimising the lumber industry. But about 20 years ago, I began to organise survival training and log-cabin tours for tourists. In conversations with the many visitors, my view of the forest changed. …Beeches, spruce and oaks all register pain as soon as a creature nibbles on them. When a caterpillar takes a bite out of a leaf, the tissue around the site of the damage changes. In addition, the leaf tissue sends out electrical signals, just as human tissue does when hurt. WHO knew that intentions to rev up logging of native forests in Tasmania are to be underpinned by building forest furnaces? Or that taxpayer-funded largesse is soon to be showered on likely proponents of such developments? Plans of the Tasmanian Government to entrench and expand native forest logging by encouraging burning large volumes of freshly logged forests for electricity production and industrial heat have been flying under the radar, despite the certainty of conflict and dubious claims of environmental benefit. The innocuously named Wood and Fibre Innovation Program is strongly focused on the use of forest biomass to produce energy. Just days after blaming a low-humidity snap for flareups in the Pioneer Fire, officials are optimistic that an incoming cold front could held them gain ground on the 184,000-acre fire, which started in mid-July. Crews on Sunday held containment of the blaze at 56 percent, according to a Boise National Forest press release. Cool weather and light precipitation had tempered the fire over Labor Day weekend. But officials earlier in the week were preparing for even more increase in fire activity due to dry conditions and say that heat will have a hold on fuel moisture despite the cold front. Smoke from the 200-acre Snake Fire burning on the Medicine Bow National Forest in the southern Sierra Madre Range spread across southeastern Wyoming over the weekend, making for particularly hazy skies in the Laramie Valley. The fire was first reported Saturday evening. It is located in southern Carbon County, five miles southeast of Battle Creek Dispersed Campground and just two miles north of the Wyoming/Colorado state line. Hunters and campers have been evacuated from the fire area. The public is being kept out of the area, pending an official closure order. Fuel at this point is mixed conifer and aspen, some of it dead. Birds native to forests on the island of Kauai in Hawaii are disappearing. Researchers predict a surge of extinctions over the next few decades. Climate change and invasive species are thought to be the driving forces behind the rapidly declining bird populations. The findings are in a paper that was just published in the journal Science Advances. Researchers analyzed data and population trends of forest birds on the island of Kauai over a 25-year period. They also collected data on the prevalence of introduced diseases, such as avian malaria (Plasmodium relictum). In addition, the research team recorded the presence of mosquitoes, non-native birds, and invasive plant species. The team found that Kauai’s native forest birds are experiencing rapid population declines. PATTEN, Maine — Brothers Adam and Matthew Fronczak sit astride three industries dear to Patten — forestry, farming and milling — and it can make for some scattershot workdays. …The 175-year-old empty mill site on Mill Street was acquired in 2013 by an investor who wishes to remain anonymous, the brothers said. The two managers began working on it immediately. Since opening the facility in January 2016, the brothers have expanded their payroll from three to 13 full-time workers and begun round-the-clock manufacturing of softwood pellets five days per week. 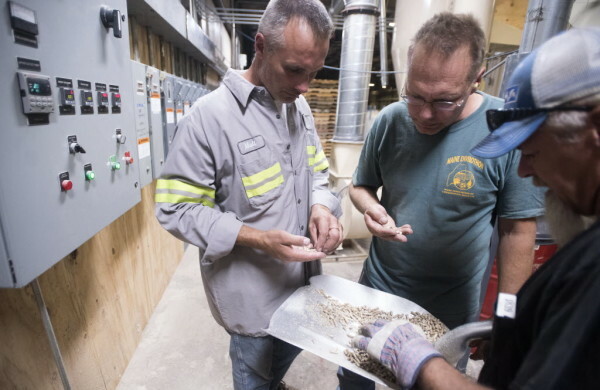 Their goal is to produce 5,000 tons of home-heating pellets this year and double that amount next year.